April 8, 2012. 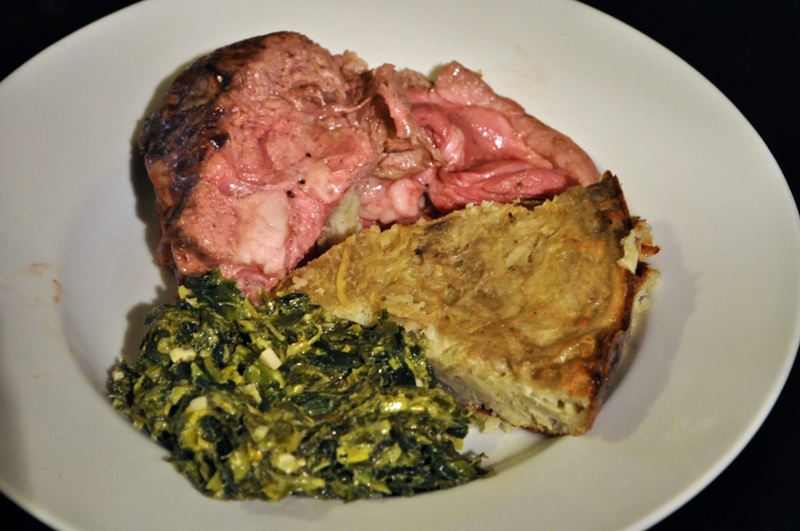 Easter Dinner: Roast lamb, potato kugel, creamed spinach. Yeah, the lamb was a little underdone, but great for leftovers.